Hillcrest Crescent. Pic by Google. A 17-year-old male has been charged with burglary and taking a vehicle without authority following a creeper burglary in Newtownabbey yesterday. The teenager is expected to appear at Belfast Youth Court on Monday, July 10. As is usual procedure charges will be reviewed by the PPS. The charges relate to a burglary in the Hillcrest Crescent area of Newtownabbey during the early hours of June 12. 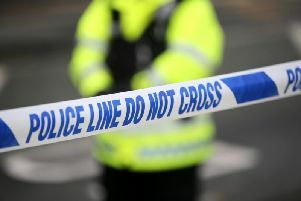 A second 17-year-old male arrested in connection with the same incident has been released on police bail to return for further questioning at a later date.